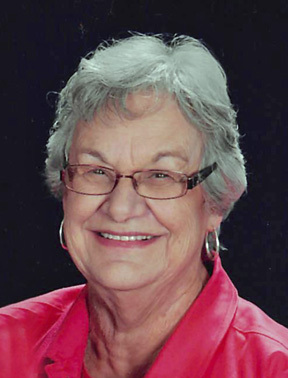 Donna Rae Allard Armstrong, 85, of Fergus Falls, died Tuesday, April 2, 2019 at Woodland Lodge in Fergus Falls. She was the daughter of Orice E. and Adeline (Eckerman) Allard. She lived in Sioux City, Iowa and attended school at Saint Bonaface, until her parents moved to North Charleston during World War II. After the war her family returned to Iowa and she attended Sacred Heart for 2 years. The family than moved to a farm in Jefferson, South Dakota where many of her father’s relatives resided. Donna attended seventh and eighth grades at Saint Peters and high school at Jefferson High. She worked five years at Sioux City Livestock News in the office. Donna met John in 1955 and they were married at Sacred Heart on May 26, 1956. They had four children and lived in Sioux City, Ankeny and LeMars, Iowa, Omaha and O'Neill, Nebraska, again in Sioux City, Iowa and lastly Fergus Falls, Minnesota. Preceding her in death were her parents, Orice and Adeline; sister, Geraldine (Dwight) Betsworth, infant sisters, Iola and Joyce and Brother, Ronald. She is survived by her husband, John; children, David (Laurie) Armstrong, Steven (Kay) Armstrong, Brian (Kim) Armstrong and Lori (Jim) Larsen; seven grandchildren, Tyler (Patience) Armstrong, Alicia (Anthony) Hansen, Ashley J. Armstrong, Christopher Armstrong, Joseph (Becca) Larsen, Kaitlin Larsen and Jacklyn Armstrong; two step-grandchildren, Ashley A. Armstrong and Blake Karch; great-grandchildren, Sophia and Ellie Armstrong, Jacob and Gabriel Hansen and Wyatt, Madelyn and Levi Larsen; step great-grandchildren, Alayna, Austyn and Adalyn Armstrong; Sisters-in-law, Carlene Allard and Diane Elston. Donna loved them all. In lieu of flowers memorials preferred to: Carmelite Nuns, 2901 South Cecelia St., Sioux City, IA 51106. Memorial Mass: 11:00 a.m., Monday April 8, 2019, at Our Lady of Victory Catholic Church in Fergus Falls, with a visitation one hour prior to the service at the church. Funeral arrangements are with the Glende-Nilson Funeral Home of Fergus Falls for Donna Armstrong.